Waktu bangun pagi ialah waktu mood die paling baik. Boleh komot sesuke hati dan bergelak ketawa sampai semput :P Gigi belum ada tapi asek sengih tunjuk gusi die. Right now, she's busy exploring and would lay low when she see anything at our hand while lifting her. Hyper actively cheerful when she heard her rattles or anything similar to it. Mengesot pon dah laju tapi in reverse order. Easily entertained (when she's in a good mood) with flasing screen but I try not to exposed her constantly - mata nak pakai lame lagi sayang oii. I started giving her tasting food from fruits puree. Just a pinch or two to start her real solid. Honeydew was her first food other than milk and she loves it. Tried banana and dates, also like em too! But I tried sweet mango the other day but umphh..no. Ade jugak tak suke rupenyer. Haha. I'm actually super lazy to prepare her real solid food. To think about those food case that I have to clean and the food mixer that I have to clean, already added to my super laziness. I even not really sure myself when I'm going to start. Most mothers would start at 6 months and even her paed said I can start giving her solid at 4. Well, giving those bits of puree counted as solid food already aye? Hehe. Anyhow, I consulted her paed last Thursday during her monthly jabs and he said solid food is not important when baby is fully breastfeed until one year old. Fuhh..that's relieving. Did you know that banana have the same energy with breastmilk, unlike apples and pears? Well, I just found out when her paed told me. Haha. Her weights surprised me! I'm afraid she's obese but luckily she's in average range. Her heights is a little above average. That explains a lot why she's could wear one year old cloths nowadays. Diapers pun nk kne tukar L ni. Peha bam bam ngat. Poopoo ok. I dont have to keep scheduling anymore. Sleep pattern still the same. Just that I notice she would wake up at least two hours for feeding when she sleeps. Suakan bak je, settle. Both mommy and baby continue shut eyes while breastfeeding. Hehe. Dah start melasak dengan aktifnye. Menyusu pon dah pandai freestyle. Kalau masuk nursing room tu, orang lain sopan je, die..macam-macam bunyi, macam-macam gaya ade. Haiyohh.. Hubs still learning handling Rauhah, like to lift her up when she cries from sleep, instead of just patting her. To hug Rauhah and talked to her often. As myself, I'm learning to balance this life as work is getting pilled up lately. I need to keep remind myself that family is priority and work could always wait. Self note: No compromise when it involves Rauhah. 1) I read over the internet that we must change teats once in 3 months time. So I DID. 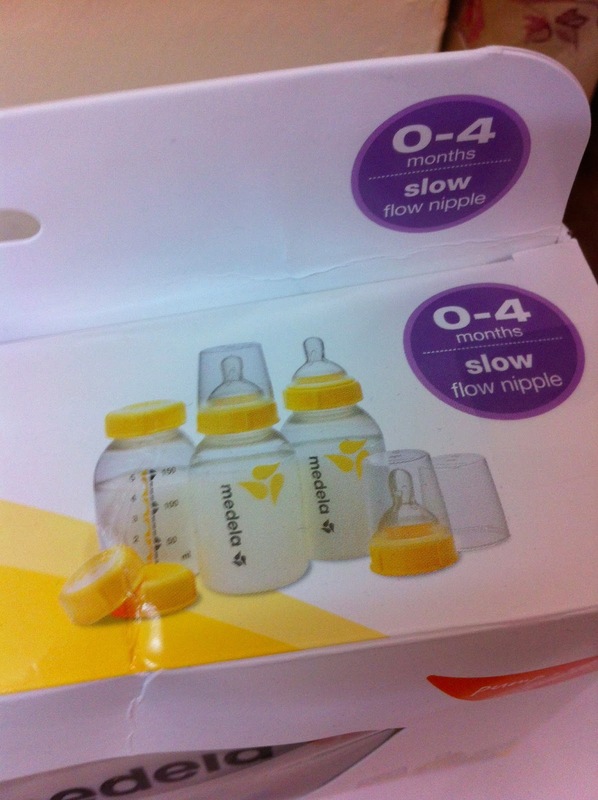 1) I couldnt find stores selling Medela wide teats anywhere!! Not event the bottle itself! 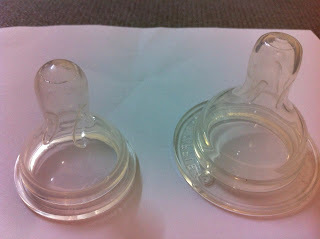 2) I'm using Philips Avent bottle as that's the only teats we have in the house. 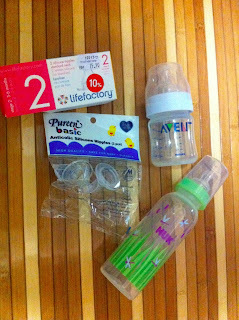 Bought it during my pregnancy when I saw most of babies using this bottle without hesitation and read some review that it suits babies well. Fret not for Rauhah. I should have knock myself up cause babies are not the same! Sheeeshhhh! She's kinda want Avent but not as much she loved to Medela. It brings headache when we struggle to make her drink from it. Like I said in previous post that she would prefer drinks from bottles from direct feeding itself when she had Medela. 2) So, here comes try and error. Bought few teats. Pureen, Mothercare and NUK - She hates them all! So have back to Avent again. 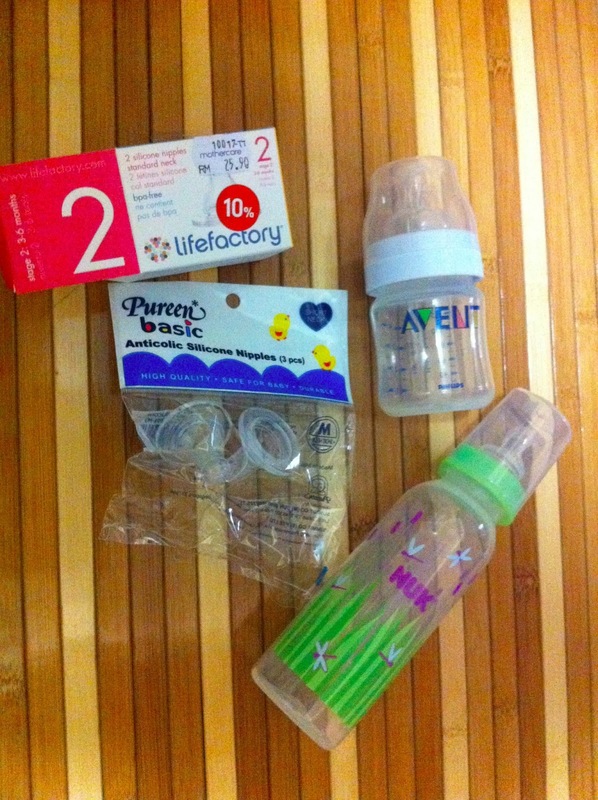 It has been 2 months Rauhah using Avent and things are still the same. Hence, I googled and found this site that sells Medela stuffs. It took me quite a time to decide cause I''m confused of term 'wide teats'. Logically, wide teats should refer to the same size right? Again, I'm wrong. You see, Medela wide teats is not the same with Avent wide teats. 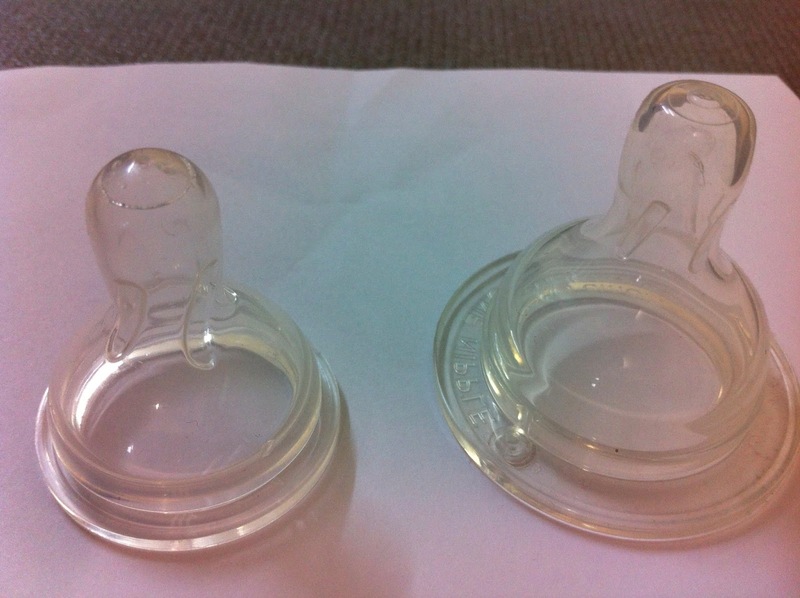 Medela wide teats is almost similar size to normal teats (Pureen/NUK/Mothercare) but it's a little bit bigger on the open base. So I better be sorry now and bought the whole package. Hubs and I did our test by replacing Avent and Medela in between. Rase macam tipu je bile die minum from Medela dengan golojohnyer and refuse Avent right after we changed. I notice Medela teats is the most soft teats, compared from the rest of the teats that I bought. Maybe it explains why she love it. Been longing for pasta these days and had so many in a week! 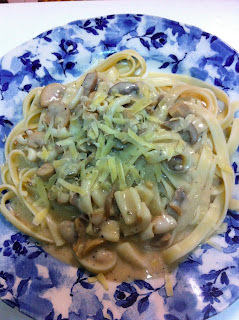 My all time favorite is Carbonara! Have you tried Pesto at Delicious? It was so nyummy that I googled for the recipe! 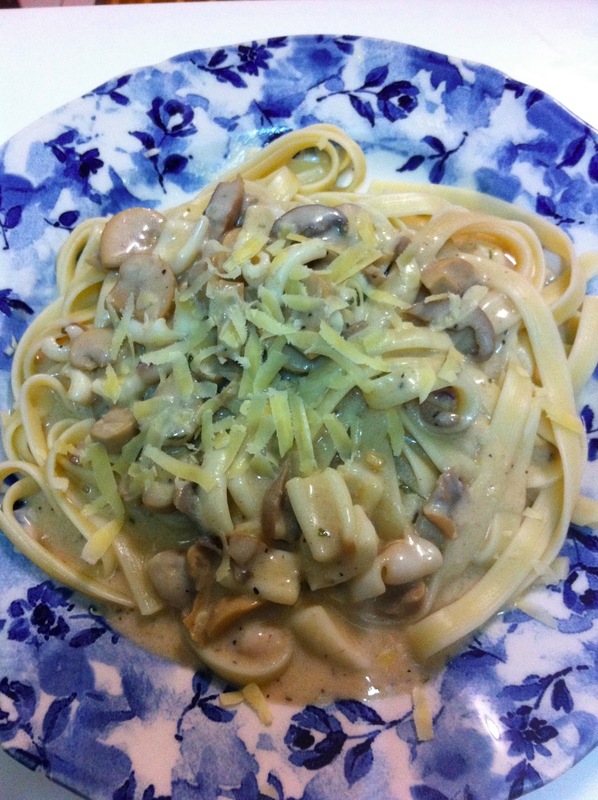 Frustrated with Pesto, I then make Carbonara but trying new recipe. Sedikit menderhaka sebab I don't have fresh milk. Step1: Quater of butter to cook chopped garlic. Put preferred mushrooms and any seafood. Keep it a side. Step 4: Put cooked preferred pasta in a plate. Add the gravy, together with parmesan cheese and parsley.